There is a growing problem in the United States and Canada which is likely to become more of an issue in the UK and Europe: Fentanyl overdose. Fentanyl is a synthetic (manufactured) opioid and is the most potent opioid available for medical treatment. Used to relieve pain in cancer patients, it is 50-100 times stronger than morphine, and usually administered in the form of patches or lozenges. 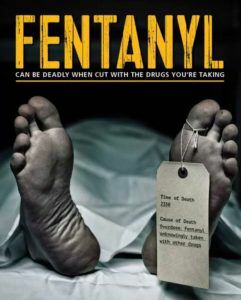 Fentanyl is also used in certain emergency situations when stopping a patients breathing, where medics need to take over the breathing for the patient. Manufactured in clandestine laboratories often in China, Russia, and Mexico, fentanyl is imported and sold on the streets or via unregulated websites as medicines or legal highs. It takes effect so rapidly that in its legitimate form it can be used as anaesthesia, while on the streets its instant high can kill the drug user in seconds. In recent years it has become favoured by opioid addicts due to its potency. Fentanyl is so potent that US law enforcement officers have now been advised not to taste or smell suspected narcotics in case they contain fentanyl. Many also carry Naloxone – a drug to reverse the effect of opioids. Deadly killer: counterfeit pain medicine containing fentanyl linked to the death of Prince. At Dr Fox we see evidence of users looking to purchase pain medicines (tramadol, codeine, co-codamol, oxycodone) and tranquillisers (diazepam, zopiclone) online. Whilst we acknowledge people in pain or addicted to opioids may go to great lengths to obtain supplies, we must strongly caution against attempting to buy pain medicines online due to the danger now posed by fentanyl in counterfeit pain medicines. People in pain, addicted to medicine or opioids must see a doctor. There is support available from local authorities and the NHS. Fentanyl overdose was named as the cause of accidental death of Prince, the famous musical artist who was found dead 21 April 2016 in his Minnesota home. 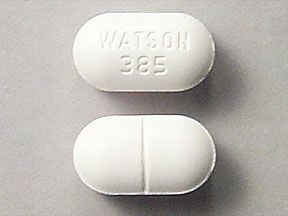 Counterfeit pain medicine that contained fentanyl was found at the home, falsely presented as ‘WATSON 385’ (acetaminophen and hydrocodone), and thought to have been obtained illegally. On the black market, fentanyl is 25-50 times stronger than heroin, and because it can be manufactured in a lab it is cheaper than heroin and often used to lace illicit drugs and increase profits. If too much fentanyl is added this can cause accidental overdoses. What are the risks in the UK and Europe? To date there have not been widespread reports of fentanyl overdoses from counterfeit tablets in the UK, as seen in North America, partly due to the restricted nature of medicines marketing here. But the international nature of counterfeit drugs supply means the danger is ever present. As a heroin substitute, fentanyl is a real danger for drug users. In some parts of Europe there are significant numbers of fentanyl-related deaths, especially in Estonia, where heroin shortages have created demand. It is evident that people purchasing heroin or counterfeit medicines on the street are at risk of fentanyl overdose, however online pharmacies and websites that purportedly sell prescription pain medicine or opioids can be just as dangerous. To put it simply, no registered pharmacy will supply pain medication online without having the patient post a paper prescription from a doctor. The UK has regulatory and legislative framework in place for medicines to be prescribed online, however strict guidelines must be followed by doctors prescribing online, including registration with the Care Quality Commission and Medicines and Healthcare products Regulatory Agency (MHRA). Medicines must be posted from a pharmacy registered with the General Pharmaceutical Council. Medically and ethically, it is inappropriate to provide pain medication through an online service unless a verified paper prescription is provided. Dr Fox would advise to strictly avoid online services offering pain medication without a prescription, and black market vendors of opioids. Before Fentanyl (and now the even stronger carfentanil) was introduced this activity was highly risky – now it could very easily be fatal. Posted on October 3, 2016 March 15, 2018 by Dr Tony Steele in Health News, In the media. 5 winter health myths: fact or fiction?